I believe that you should…. 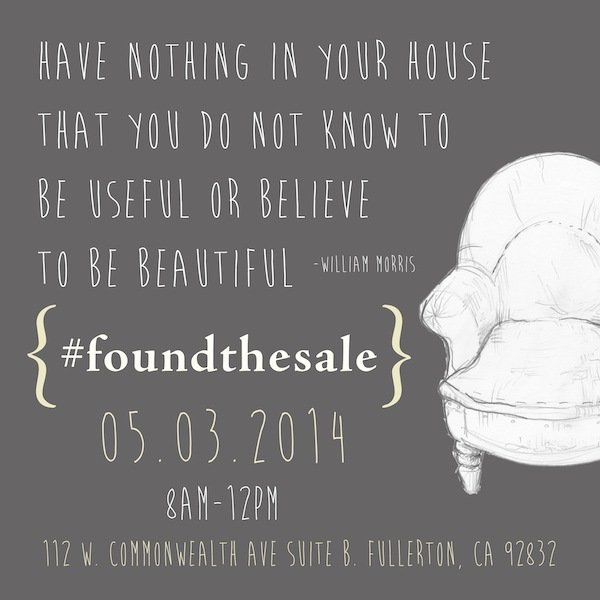 Come shop and find something beautiful (or useful)! Please note that this sale will not be at our warehouse this time. Find us at Studio EMP , 112 W. Commonwealth Ave Suite B Fullerton, 92832 from 8AM -Noon. There is plenty of parking in the structure located on the corner of Harbor and Santa Fe. Follow me on our Instagram feed over the next couple weeks to see sneak peeks of the pieces that can be yours.